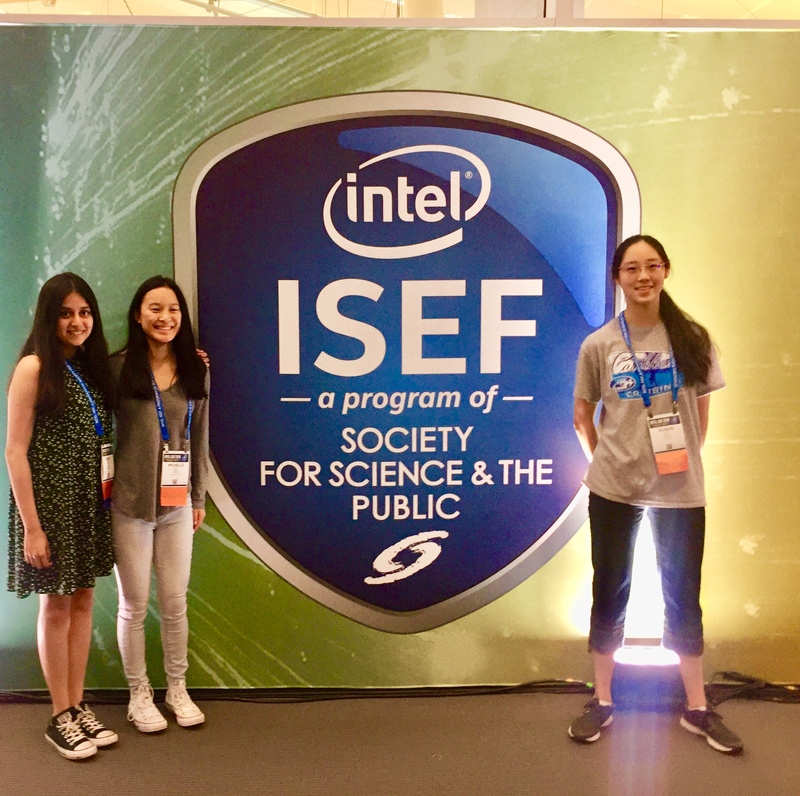 Three Hathaway Brown students spent May 13-18 in Pittsburgh, PA where they competed in the Intel ISEF (International Science & Engineering Fair), the largest pre-college science fair in the world. Each year, approximately 1,800 high school students from more than 75 countries, regions, and territories are awarded the opportunity to showcase their independent research and compete for an average of $5 million in prizes. Maya was awarded a Third Place Grand Award of $1,000 in her category of Materials Science and Alison won a Fourth Place Grand Award of $500 in Chemistry. They join the ranks of less than 20 SREP students in the past 20 years to win a Grand Award. In addition, Alison was also recognized with a Special Award from the Air Force Research Laboratory for her research as well as an Honorable Mention from the American Chemical Society (ACS). Hathaway Brown has been honored to award spots to ISEF each year based on the quantity and excellence of the science and engineering research being performed in partnership with Cleveland institutions like Case Western Reserve University, Cleveland Clinic, NASA Glenn Research Center, and the Natural History Museum.